After teaching world languages for over twenty years, I learned that students require a lot of practice to truly learn vocabulary and sentence structure. Every successful Spanish teacher knows that students must be engaged and many workbook exercises and textbooks are not extremely engaging. Through engaging Spanish games, my students happily use the essential vocabulary and sentence structures, gradually gaining the required practice. Through games, children learn a variety of critical skills. I enjoy watching my students’ creativity while playing Spanish games. Children will learn while playing the fun Spanish games above on their phones, tablets and PCs. There are numerous skills which students develop through game playing such as sportsmanship, critical thinking, creativity, and teamwork. Each Spanish game has numerous categories including adjectives, adverbs, verbs, nouns, por vs para and many more. Click on any game link above to see the categories associated with that Spanish game. New technology is always feared. People wonder whether it will improve the human condition or cause the destruction of society as we know it. In the 1950s, parents worried that TV would destroy a child's eyes and make children stupid. In spite of our nations' worst fears, TV did not destroy children, it made them much smarter. Look at how productive the TV generation has become. Digital games have been proven to be the greatest learning tool every developed for learning a language. During my second year as a teacher, a Spanish student mentioned that she loved the game we were playing on 123TeachMe. I told her that it was based on a game she may have played at home. She then commented that she had never played games at home. I was the only adult who had ever had time to play a game with her. You learn to fight for your life and not to squander it living under a cloud of impending doom. You learn that life isn't always fair, you don't always get what you think you deserve, and that sometimes bad things happen to unsuspecting, good people. On these occasions you learn not to personalize things. You learn that God isn't punishing you or failing to answer your prayers. And you learn to deal with evil in its most primal state - the ego. You learn that negative feelings such as anger, envy, and resentment must be understood and redirected, or they will suffocate the life out of you and poison the universe that surrounds you. ,i know certain things are wrong,but i continue to do them,and after sometime it becomes a routine,or as if it isnt wrong doing it.when am i ever gonna learn? I am hoping that throughout this week and in upcoming debates, I will learn more about Kerry and how he can be a strong leader and right some Bush-wrongs. Through all of this, I've realized that part of growing up is learning how and when to stand your ground, and when to stop trying to please your parents. This is a hard lesson to learn, to always keep it in mind and still be respectful and fair. Later on that evening, us guys headed over to Striketown for a few children's games of bowling. I want to eventually learn more about Spanish games for kids. Dylon loves learning Spanish by playing games. Here's to hoping it goes smoothly and that I don't lose too many card games. I mean in that great philisophical way that all things happen for a reason and that we learn from all things. I was startled to learn that these statistics only reflect trends of the last 20 years. More importantly, you learn that in order to achieve success, you need direction, discipline, and perseverance. You also learn that no one can do it all alone and its OK to risk asking for help. I would have relished the opportunity to follow and learn from both men. There was an initiative in Texas to penalize kids for speaking Spanish in school. He was told the reason he got fired was for playing Spanish games on his computer (what a stupid reason.) After a grueling hour of working out, playing pointless games that never amounted to anything, not even fun, it was time to change clothes. When will people ever learn? She hung with Seamus while Sergei and I taught Dizzy how to swim (threw him in the pool repeatedly and watched him struggle to learn Spanish. Yesterday was another series of learning sessions. Where do they learn these things? I study her..to learn where the negativity comes from..and what it ultimately affords her. A big problems I have with making games is my lark of a real artist. You learn that the only thing you must truly fear is the great robber baron of all time: FEAR itself. You learn to step right into and through your fears, because you know that whatever happens you can handle it, and to give in to fear is to give away the right to live life on your terms. I wonder if the children's games are named specifically after Zelda Fitzgerald. Surely I'm not the only one that sees not only one, but the prospect of TWO new Spanish games as momentous news. And you learn that your body really is your temple. You learn that fatigue diminishes the spirit and can create doubt and fear, so you take more time to rest. You learn that, for the most part, in life you get what you believe you deserve. You learn that anything worth achieving is worth working for, and that wishing for something to happen is different from working toward making it happen. I went home, played some Spanish games for children, and took a long nap. Not too shabby considering that I got lucky in quite a few games. You learn to admit when you are wrong and to build bridges instead of walls. How Do Spanish Games Help Children Learn? You learn to be thankful and to take comfort in many of the simple things we take for granted, things that millions of people upon the earth can only dream about a full refrigerator, clean running water, a soft warm bed, a long hot shower. I went home, played some more Spanish games and went to bed to try to sleep, something which I failed miserably at. I don't like games for children that are too controlling, let me do my own thing. A Link to the Past kicks this Spanish game for children so hard the bruises may never go away, but like I said, it's fun for what it is. One person plays Spanish children's games all day. So I quit and walked to a pub that sports a pool table and figured I'd shoot a couple games. i've wanted to learn it for years. It's gotten to the point where i'm dancing alone in my room, like when i was just learning back in Mexico. Lots of smoking, Spanish games, people walking in and out, chilled out. Then joined maria and troy at l'arlequin pour le festival de cinema bresilien to see "deus e brasileiro". Stop playing your Spanish games! It just seems that the lessons are not as 'effective','powerful' or 'meaningful' as it used to be..why!why!i used to really look foward to classes every week,as i would learn something new and something interesting.now. My com is really terrible.its so slow that i cant play games on it,its so problematic that i have to learn to use the com ALONG with these problems. Tampa Bay and Calgary have been playing great during the playoffs, and I'm looking forward to catching a few children's games before my wedding, as I'm forbidden to learn Spanish during the honeymoon. We must learn not to accept the status-quo. I should learn how to treat someone like her. When I was in ETP which is a famous school to learn TOEFL and TOEIC, I could not get good mark even small test at the school. Technology has advanced enough to create exact replicas of stadiums, courts, race tracks and golf courses but it will take awhile before game developers find a way to get advertising into the games however it is only a matter of time. Spanish games are becoming so real that people are actually starting to call certain aspects of the Spanish gaming culture a sport. But is sitting down and playing Spanish games a sport? "The CPL games,’ he adds, ‘are not limited by borders.’ The CPL games are part of that leading edge (Are Spanish games a sport? Spanish games are becoming more and more prevalent in many parts of society and just like the skateboarders, surfers, and all other extreme sports athletes, can understand what Spanish video gaming world is going through. Well I am glad u all had fun taking down tents out in the sunshine day while i was stuck inside studying, Spanish and business textbooks. I'm going to learn to play the guitar and go body-boarding as much as possible. To pass the time, we played pool, air hockey and a couple of arcade games. She'll get all settled down When playing complex card-games With concentration she will frown. That'll learn them for making me do stuff. I tell you, I challenge myself and learn something new every day with this job. No matter though, she's learning a ton at her veterinary job, which leads me to my next topic. Whilst driving to work today, I was flipping through morning radio and came across a familiar song "now taaaake these broken wings and learn to fly again, learn to live so free!". This time might be the last, I fear, unless I make it all too clear I need you so. Chorus: Take these broken wings, and learn to fly again, learn to live so free. In today’s culture however, with the introduction of the X-Games, extreme athletes are looked upon as sports idols and are accepted by the mainstream culture. Kids and adults alike find themselves being able to live their dreams and wishes through Spanish video games just as Turkle discusses in her book. The days of kids at the parks playing basketball imagining him/herself playing against Michael Jordan are over as kids can now just be him or play against him in the Spanish games. Spanish games are becoming a hot topic for many people in regards to all areas of life. The one group that is just sitting back and enjoying everything are the publishers of these games as the business is just booming and even with the economy being bad over the past few years, Spanish games haven’t wavered a bit. Spanish games are quickly becoming part of everyday life for the children and young adults of America and this trend does not seem to be slowing down anytime soon. This is a link to a web page were CNN's James Hattori shows how Spanish video game companies are using motion capture technology to make games more realistic. Are Spanish games a sport? A new breed of computer games is teaching today's teenagers how to wage, and win, the war against terror. War on Distraction Great Article on games based on War. NBA Player Nation Looks like a cool series on Spanish games and NBA athletes. Talks about two new innovative games, MoCap Golf and MoCap Boxing, that use the motion capture technology by the gamer. Giving games different genres. Spanish Games and Children. Provide articles on Spanish game violence and children’s use of video and computer games as well as video game violence statistics. 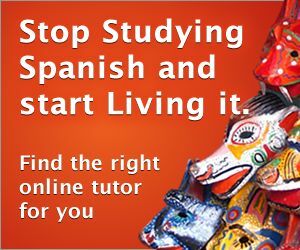 Great web site Best web page for articles and studies done on Spanish games and the affect that they have. 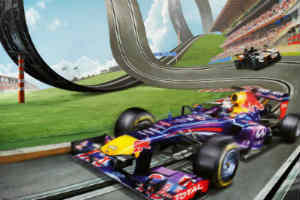 For NASCAR's Younger Set, Tony Fabrizio NASCAR Web site is about Nascar drivers using Spanish video games for training. Lawsuit against makers of Spanish games, movies thrown out . Spanish Games and their involvement in learning. And it's one more punchline I forgot to learn I call you up when my bottle's dry much like myself. Monday i am visiting Big Brothers/Big Sisters of Springfield to learn about becoming one. I would love taking that to football games. But, I have another set of interests: movies, music, games, and so on. NATO has announced they will send two more battalions to Afghanistan (1 Italian, 1 Spanish) to help with security during the upcoming elections. Well, whatever the reason for France's reluctance, at least the Italians and Spanish are willing to help. This might be a good thing, if for no other reason than it may help Yzaguirre learn a bit of history, rather than the tripe he was spewing his statement. It is damaging to the aspirations of Latino schoolchildren who come to Washington each and every year and see and learn about other communities and other cultures, but never see anything that is reflective of themselves or their families. Or, the crises we are only just learning about, like the 1983 Able Archer incident, when the Communists almost started World War 3 by mistake? This from the website: Monkeys are rather like people in their approach to work - at least, those who live in a laboratory and learn to press levers for rewards of food and water. but as long as I learn from it and not let it happen again, that's the important thing. Although I don't make a big deal about it, I love school and learning new things. * My mom doesn't like that my baby brothers phone message is entirely in Spanish. It seems like a double edged sword- learning other languages is good, right? Perhaps it's different in cases like this because it's not about learning another language but rather having a foreign language take over your own. Winner of this year's Independent Foreign Fiction Prize, Soldiers of Salamis by Javier Cercas, translated from the Spanish by Anne McLean and published by Bloomsbury. According to Federal News Radio , they mainly need translators from Chinese & Arabic, but since there are not that many people qualified to translate from them in the US, the NSA is taking on people with skills in other languages, like French or Spanish, and training them. Learn you're life lessons before it's all over why it is. the door has just opened today and we started out with a BOOM! and that shows GOOD LUCK ahead of us. Though i haven't watched the other games. (Norwegian) -aburrido (Spanish) -tính For one thing, my roommates are always in the room when I am, and they're always playing their music or playing their games. It's just a very complex game for its time, I think, and it's really long, something I always like about games. Kind of like Spanish and Portuguese, I suppose. I speak Spanish and English quite fluently. Also, given the part of the world I find myself in these days, I'm trying to learn some Arabic, which has proven to be a real challenge. Lots to learn if you like to write. I was in counseling for a long time to learn how to not beat myself up, and it all seems like such a crock. wilted daisies, nimble fingered doves of light, filtered through the filigree of kindred souls, yellow edged draperies, crisp sheets of blotting paper, like a novice in a seminary, learning from the elementary a complicit engagement with flesh, and blood, a vapor, an illicit centerfold, opening out like a stage curtain separating, parting like the red sea, in the marvelous times of tribulation, native essence- the blessed flesh opens and encapsulates discovery, which is the prickly thorns the latex glove, an eminent horizon opened, “who is the greatest in the kingdom of heaven? Our fun and games were rudely interrupted when my phone rang: "Tom Calling." I am tempted to say that Chris' inner-child stayed and even threw temper tantrums when he realized that the games were over, but I can't say what he experiences. So it makes me want to learn how to knit. Perhaps you would like to see me learn how to cross-stitch or quilt instead as a way to fulfill my post as an intentionally awkward and yet irrationally perky girl? Of course there are always more mistakes we can learn from.